Create your own photo booth with this Construction themed selfie photo props as a fun activity for your party guests! 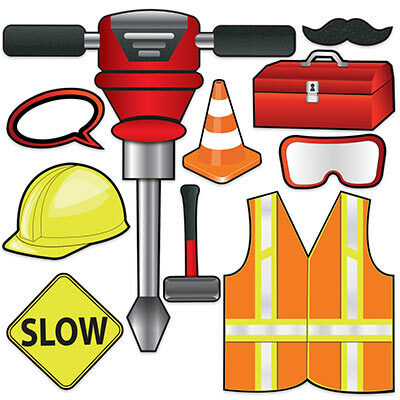 This Construction pack contains 10 fun props with Fluro work vest, jack hammer, orange cones, toolbox & hardhat, black moustache & speech bubbles for you to customise to name a few. These Photo props are great for a Construction themed parties.